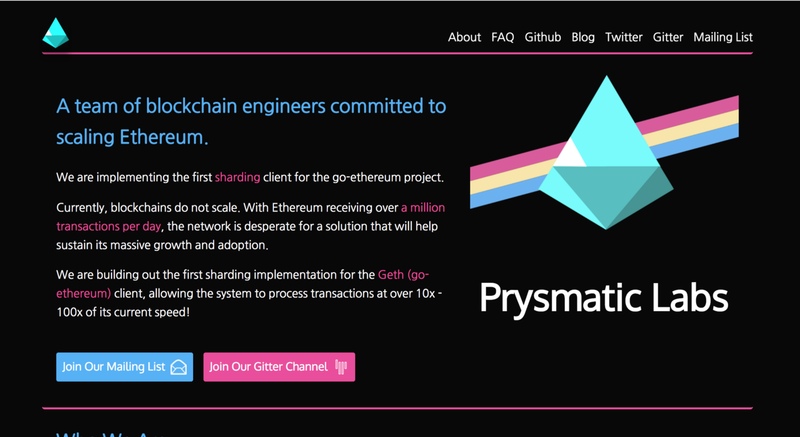 In addition to Vitalik’s minimal sharding protocol, there have been lots of discussions about the overall effectiveness and tradeoffs in Ethereum’s sharding vision we will discuss in this new update. One of the main arguments against using a smart contract to mediate consensus across shards in Ethereum is the load capacity of this contract on the main chain. One of the main reasons we cannot grow the number of shards in an unbounded manner is due to the expense this would have on the Sharding Manager Contract. The contract would have too many function calls in a short amount of time. Moreover, the system has a design constraint known as notary burst overhead. This refers to the idea that when a notary is selected in a certain period, he/she has a deadline to verify as much collation data availability as possible and also vote on available collations effectively. In essence, notaries will need to download a certain x amount of bytes/second, and we aim to minimize this rate for the overall effectiveness of the system. We can calculate this rate as the number of collations a notary has to download * the size of a collation over the time to internal finality. We can actually modify the other parameters of the equation while increasing collation size and achieve good results, however, it is better to keep collation sizes smaller in practice. The smaller collation bodies are, the faster users can have subjective confidence of their confirmation, as bigger bodies would take longer to confirm. 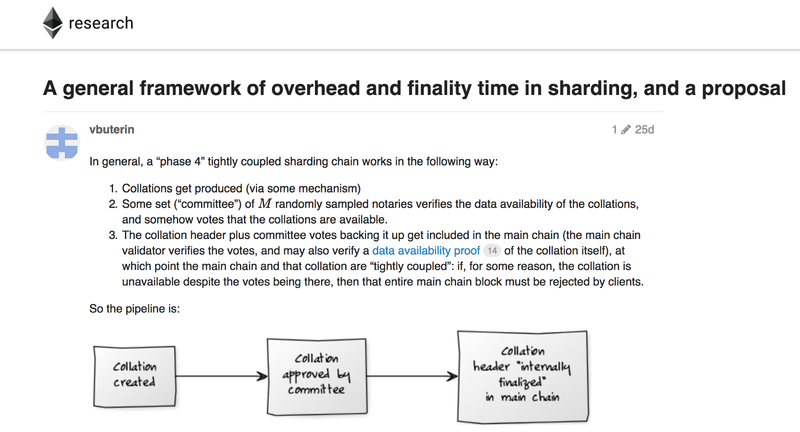 But how can we fix the dependency on the capacity of the Sharding Manager Contract? Currently, a scheme based on a random beacon chain that is linked to this contract is being explored. This chain, akin to dfinity’s Random Beacon implementation, would be in charge for pseudorandomly sampling notaries and would allow for cool stuff such as off-chain collation headers that were not possible before. Through this, no gas would need to be paid for including collation headers and we can achieve faster finality guarantees, making the system way better than before! In fact, Vitalik’s latest sharding teaser on Twitter explored this approach via a Python simulation for pseudorandom notary sampling via random beacon chains. This approach would allow each shard to have its own fork choice rule that is tied to the random beacon chain. That is, a collation would point to a parent within a shard and also to a block within the beacon chain. 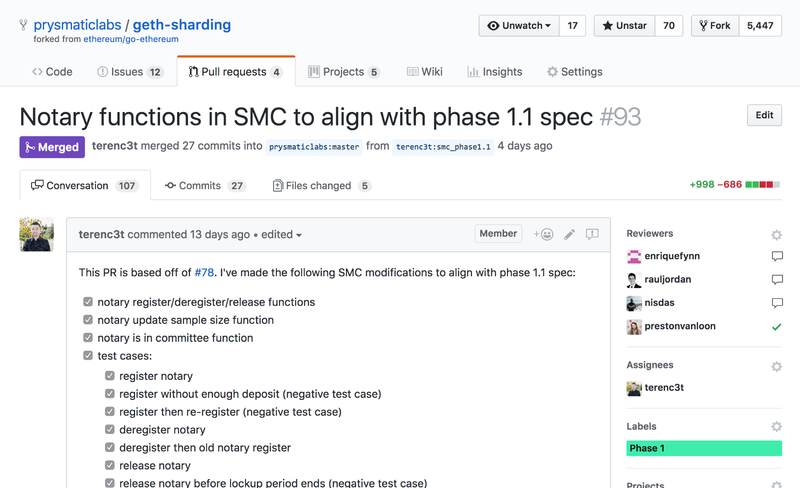 Given the possibility of more changes to 1.1 spec, team has been working on the minimal sharding protocol as something it’s worthwhile to develop and less likely to change in the future. Note this protocol is simple and lack slashing condition when notary behaves badly, but still offers a great opportunity to build and test all the base infrastructures for sharding 1.1. Here is our latest Sharding Manager Contract source code. 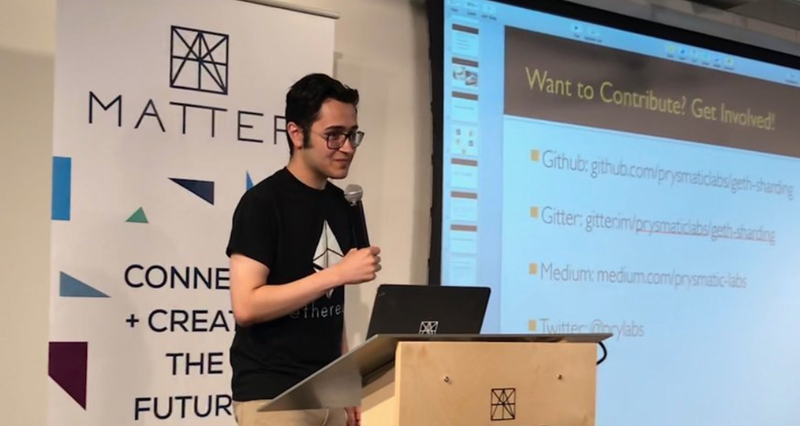 Prysmatic Labs Teammate Raul Jordan was recently invited to introduce sharding and its latest research at the Chicago Ethereum Meetup this past week. You can check out the recorded presentation here or see the slides here. Sharding gives us the unique opportunity to explore different technologies we can use for the future of Ethereum’s technology stack. In the next updates, we’ll be exploring shard state local storage via different key-value databases such as leveldb, rocksdb, and more. We will be exploring modifications to Ethereum’s Merkle Patricia tree to improve efficiency in a cross-shard ecosystem as well as benchmarks for disk I/O utilization. 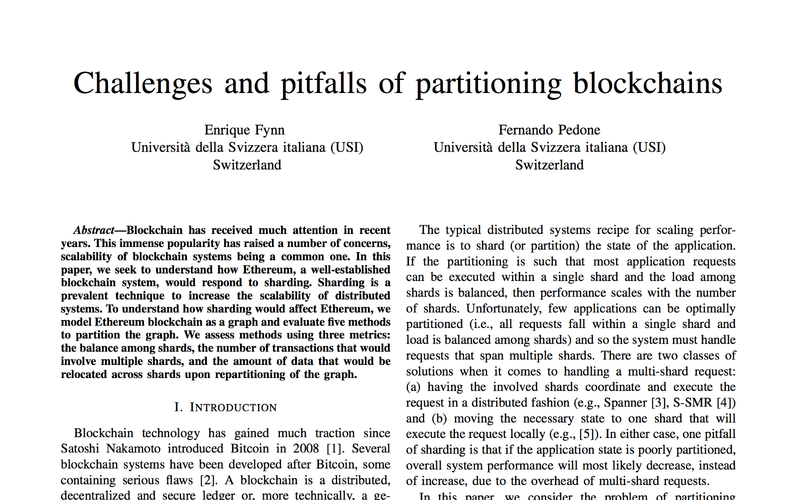 Our teammate Enrique Fynn also recently published a paper (arXiv) on the inherent challenges and tradeoffs when partitioning blockchains. Enrique has done a detailed analysis of what would happen if common partitioning techniques from distributed systems literature were applied to the Ethereum state graph as is, and there are some interesting insights you should check out. The main idea is that Ethereum’s graph was not designed to be partitioned, and naive techniques would lead to a trade-off of either (1) a strong imbalance of state throughout shards, or (2) a large number of cross-links and dependencies across shards. A special thanks to Julien Tregoat (GitHub, LinkedIn) for the great work on turning our old, vanilla HTML site into a beautiful React app. Check it out at https://prysmaticlabs.com! 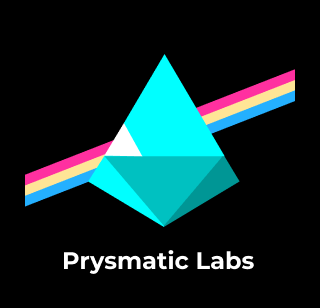 A fresh new look for prysmaticlabs.com! Our website is open source, of course. Any issues or suggestions would be greatly appreciated on our website GitHub repository.